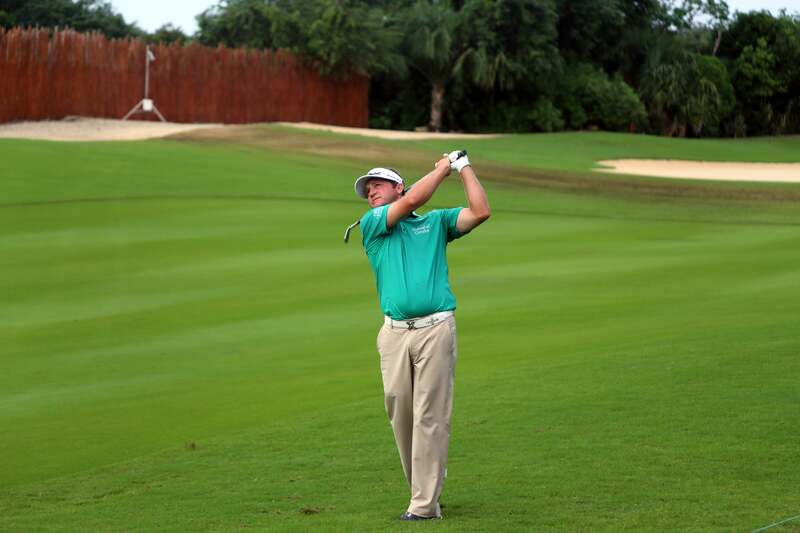 Jason Bohn After Heart Attack: "I Got One Hell of a Mulligan"
Jason Bohn, from the US, plays the 10th hole before the final round was stopped in the rain-delayed OHL Classic at Mayakoba near Playa del Carmen, Mexico, Sunday, Nov. 15, 2015. Jason Bohn got the "ultimate mulligan" last week at the Honda Classic. After his round on Friday, he suffered a major heart attack—and had no idea it was happening. Bohn spoke with Matt Adams on SiriusXM from the hospital on Monday morning and talked about the harrowing experience, his prognosis, and the support of his fellow golfers. “The craziest part about the whole situation is I had no idea that I was having a heart attack,” Bohn told Adams. For now, he is grateful for the way things played out on Friday.